This year we tried over wintering our onions along with the usual late autumn planted garlic. And perhaps also encouraged by the very hot spring and early summer, we were able to harvest both at the end of June. Going to seed. May be the start of next year’s crop! The white onions are the stars, all of a very good size. 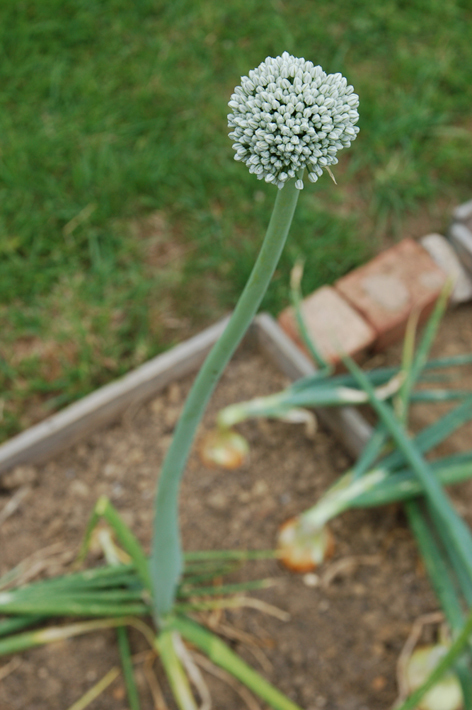 The red onions are not far behind, but have been left in the soil for a few more weeks just to them finish off. The garlic are a bit disappointing in size if I’m honest. We tried two varieties this year. The ‘Marco’ had all died back, but were generally a bit small. It’s quite possible we didn’t add enough fertiliser over winter. Still they claim to have strong flavour and be a good storer, so we shall see. The pink ‘Carcassonne Wight’ probably could probably have had another week in the ground, and they were a bit more mixed, with some showing good colour and size, but others not. Still, at least we now have enough garlic at The Secret Acre to survive a hard Brexit! 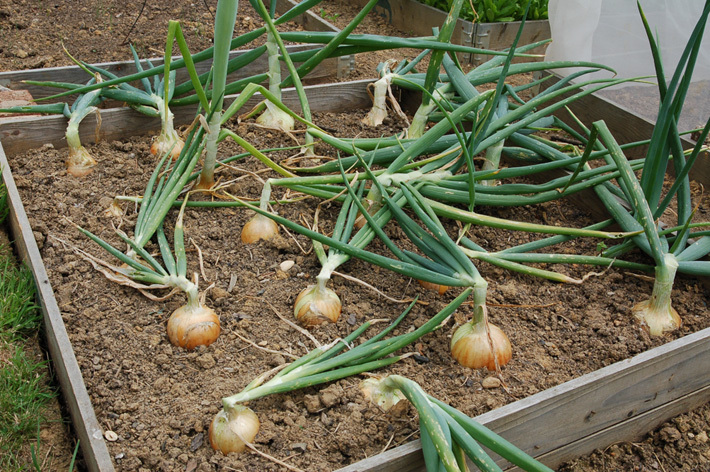 This entry was posted in Garden and tagged Brexit, Carcassonne Wight, garlic, grow your own, harvest, Marco, onions, Paul Rainger, pink garlic, red onions, Smallholding, The Secret Acre by paulrainger. Bookmark the permalink. Congratulations on the wonderful harvest. Here in Ontario, the spring was freezing cold and the summer came late. We are about a month behind. Not to mention, it is raining almost every day and it is impossible to collect the hay! Anyhow, it is so nice to have a good crop of something that keeps well over the winter, isn’t it? Once I had an over abundance of lettuce and couldn’t do much with it.